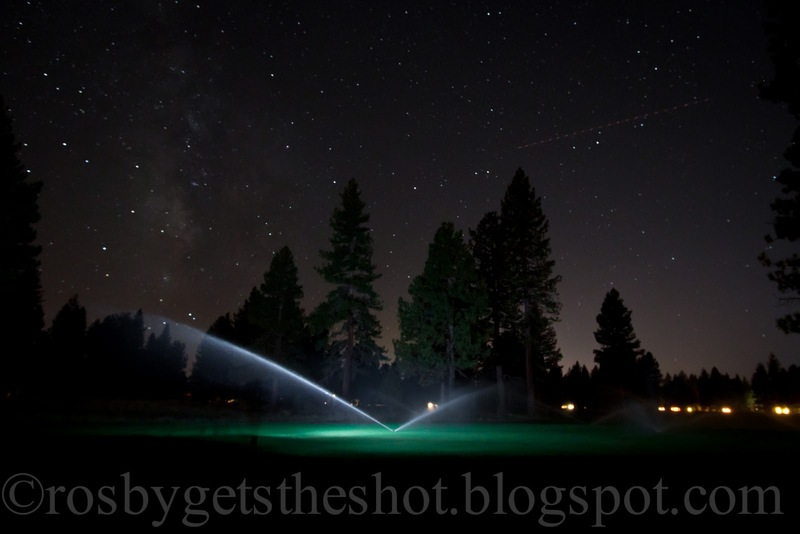 The sprinklers came on when I was out taking pictures of the stars at OG. I had to take advantage of the opportunity. Great composure Crosby. How'd you light the sprinkler and what's that moving across the sky right of center? Thanks. I ran up close with my flash and fired it off a few times. The object in the sky is an airplane.